Note: This is from the archives of Greg Amundson’s training journal, programmed for the original “Team Six” athletes by Coach Glassman, the founder of CrossFit, circa April 2003. The “gold standard” on this workout is 10:00 or less. Maintain strict adherence to range of motion on the Push-up, ensuring you body moves as a single unit. 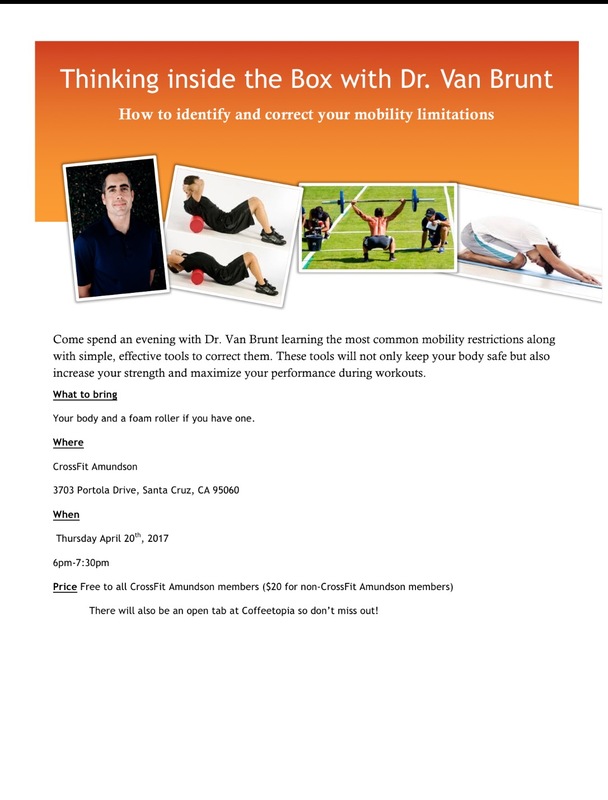 Join Doctor Van Brunt TONIGHT from 6:00 PM to 7:30 PM for a evening of education and inspiration on peak performance and health. Free coffee social with our friends at Coffeetopia from 5:30 PM to start of lecture. Please note the last class of the day will be the 4PM.